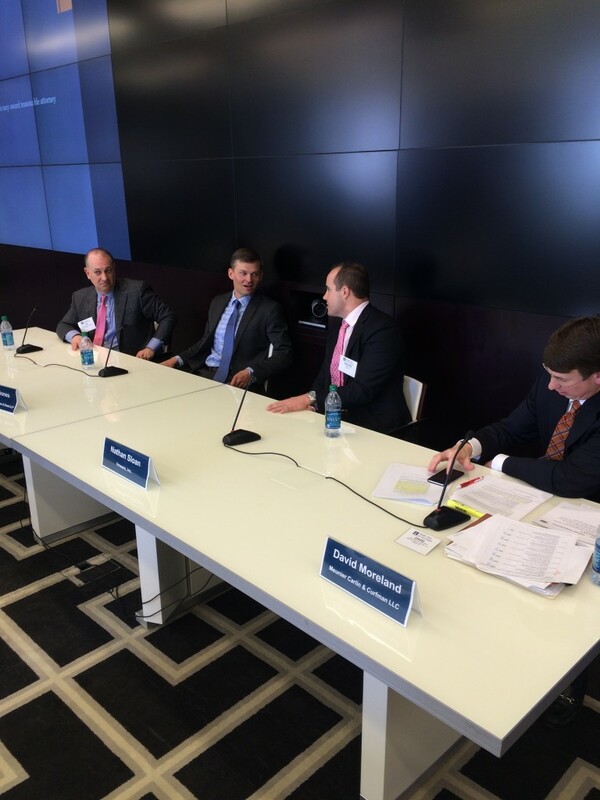 The CLE event held by the Patent Committee on February 25 was a great success! The speakers discussed changes in the law on recovering attorney’s fees. There were 52 in attendance to hear insights on this topic from panelists Nathan Sloan (VMWare, Inc.), Theodore Davis, Jr. (Kilpatrick Townsend & Stockton), and Peter Jones (Robbins Geller Rudman & Dowd). There was a lively discussion about Supreme Court cases Octane Fitness and Highmark and the impact on recovering attorney’s fees in patent and trademark cases. A special thanks goes out to the moderator David Moreland (Meunier Carlin & Curfman) and to Coby Nixon (Taylor English) for organizing the event. The Patent Committee would also like to thank Alston & Bird for graciously hosting the event. This entry was posted in News on March 5, 2016 by Chris G.